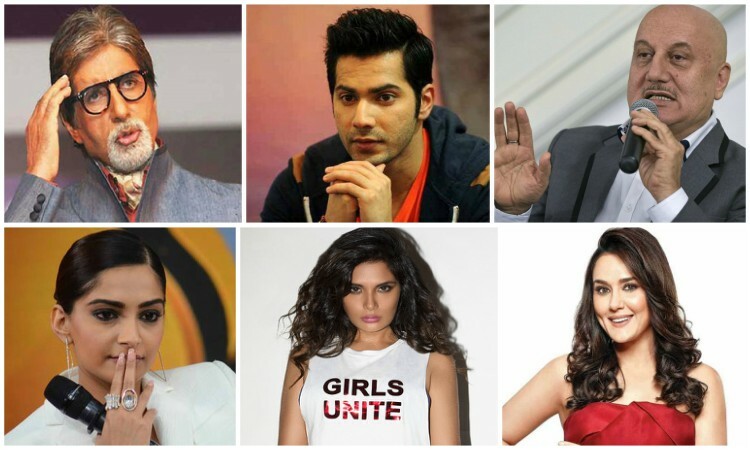 Bollywood celebrities including Amitabh Bachchan, Anupam Kher, and Sonam Kapoor Ahuja among many others, condemned the attacks on two mosques in Christchurch, New Zealand, which killed 49 people. Expressing grief over the attack, Amitabh tweeted: "We live in difficult times ... Sad and terrifying. Prayers." Anupam said that he is "deeply saddened, anguished and horrified at the senseless and cowardly killing of innocent people in New Zealand and mosque shooting." He also wished for the speedy recovery of the injured. "Kalank" actor Varun Dhawan found the mass shooting "heart breaking". "Innocent people are easy targets because they want peace and love. Thoughts and prayers with the family of the victims," he wrote. Sonam Kapoor Ahuja: I'm so sorry New Zealand for what happened. I'm so sorry to the Muslim community for all the bigotry and hate you all are facing. I'm so sorry and so very heartbroken for all of you. Abhishek Bachchan: Deepest condolences to the victims and their families of this terrible attack in New Zealand. Just terrible news. Preity Zinta: Deeply shocked and saddened by this cowardly act of violence in Christchurch. My heart goes out to all the families affected by this tragedy. May God give peace to the souls of the departed and strength to their families left behind. Adnan Sami: Disgusting, Barbaric and Shameful towards all humanity! Where does this stop? How do we explain all this to our children? Rannvijay Singha: It's heartbreaking to hear about the New Zealand Christchurch Mosque shooting that killed 49 people. This is so sad. It's so sickening. Praying for their friends and family. Richa Chadha: Social media, violence, validation, mental health... Very sad. What a tragic day. Vishal Dadlani: Horrified by the gruesome Christchurch terror attack. Where is the humanity in human kind. Farhan Akhtar treats fans with next music video 'Seagull' 'Badla' beats 'Luka Chuppi' and 'Total Dhamaal' at the box-office!